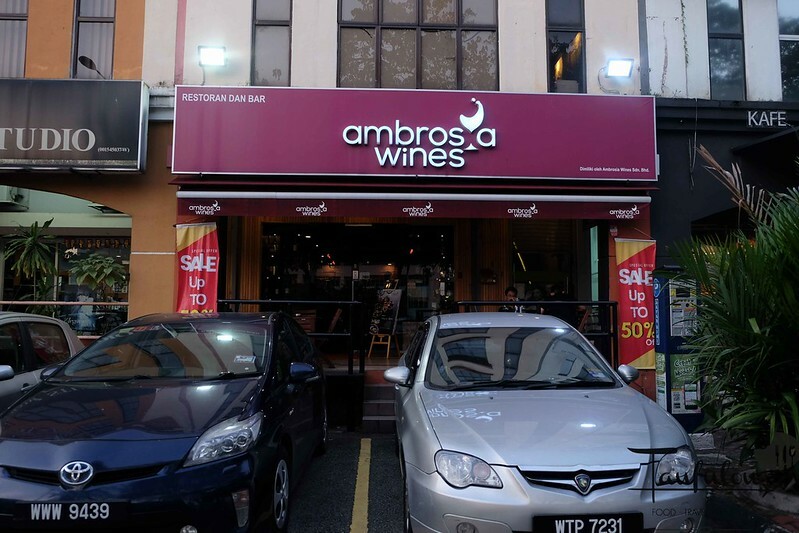 Ambrosia Wines in Taman Desa is one of a neighborhood wine shop that had been attracting a certain group to enjoy themselves in this little joint. 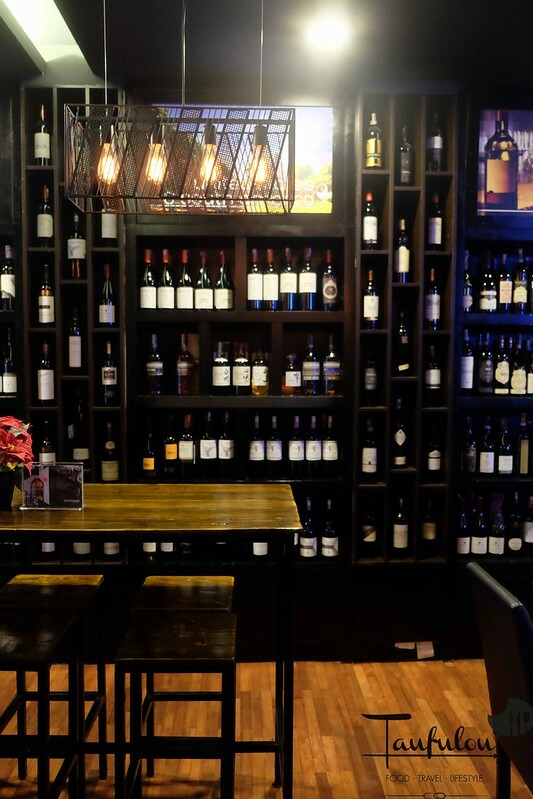 Not only a small shop, you are able to find a large range of wines, at least 200 types of wines and 100 labels of single malt whisky, Japanese Whisky and craft beers. 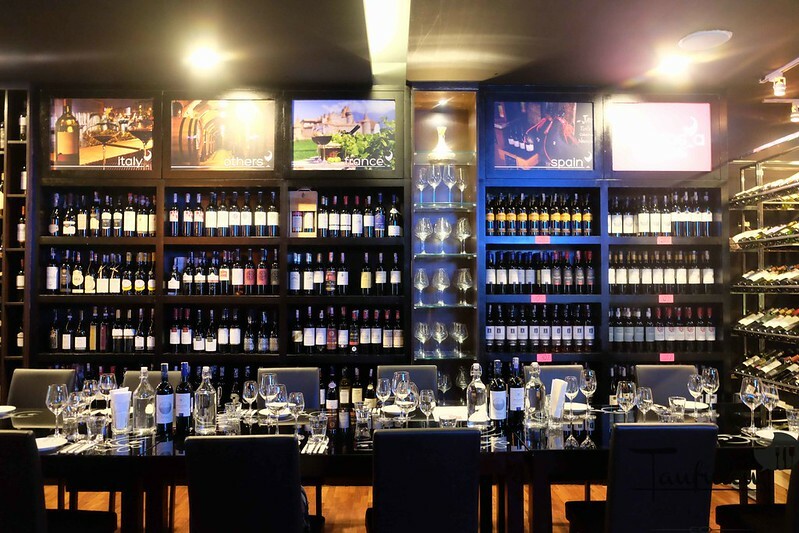 A few region of wines that you can find it here Australia, Italy, France, Spain and others. I find that their Italian wine range are interesting. 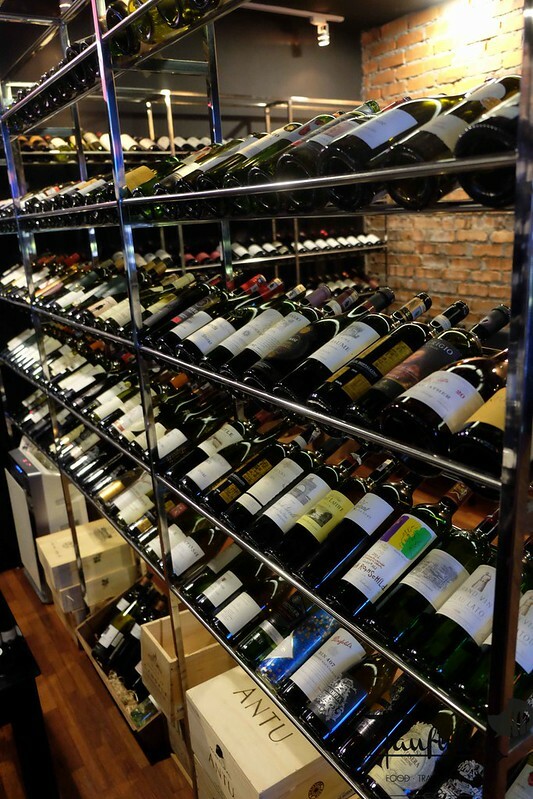 Definitely there are a few bottles that is worth to explore there. 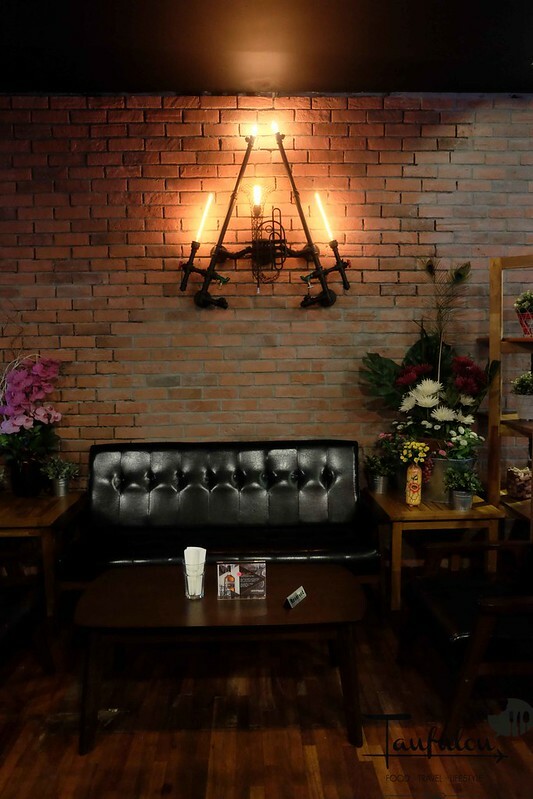 With the regulars often hang out in the space, they have feedback to the owner that they wish to have some bites to hit on. 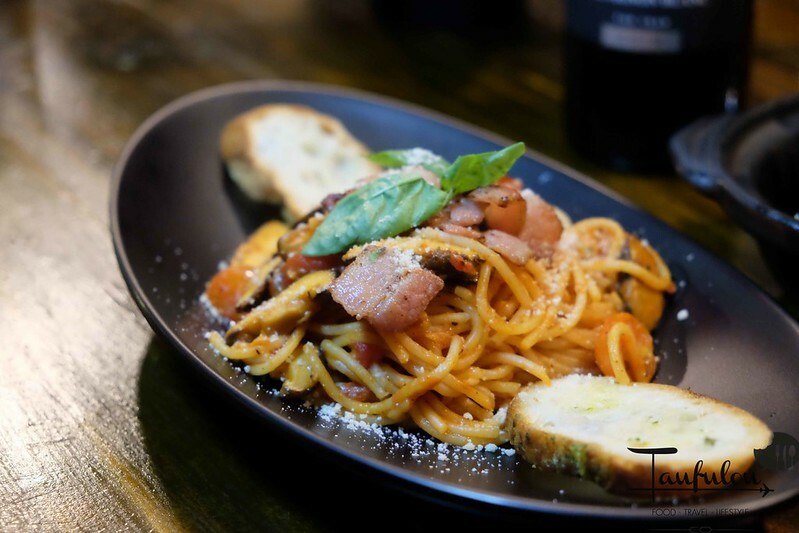 Hence, you can order some tapas on the menu now. 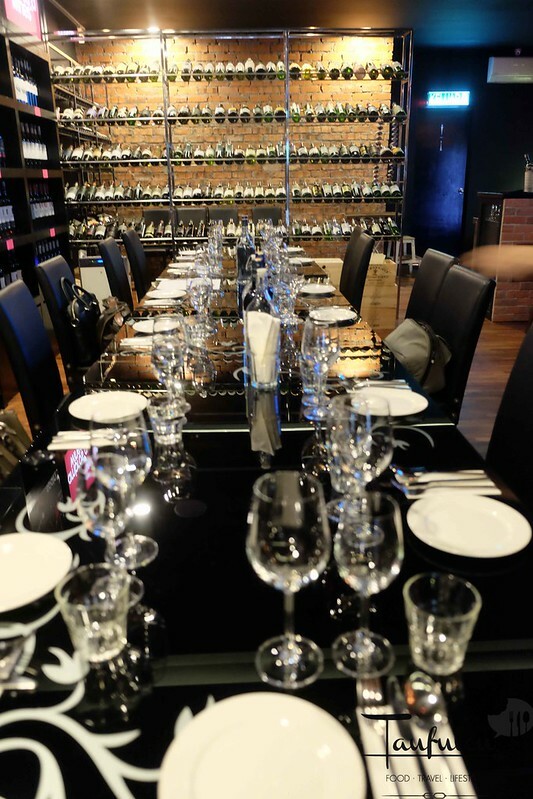 Occasionally, they do have wine pairing dinner. 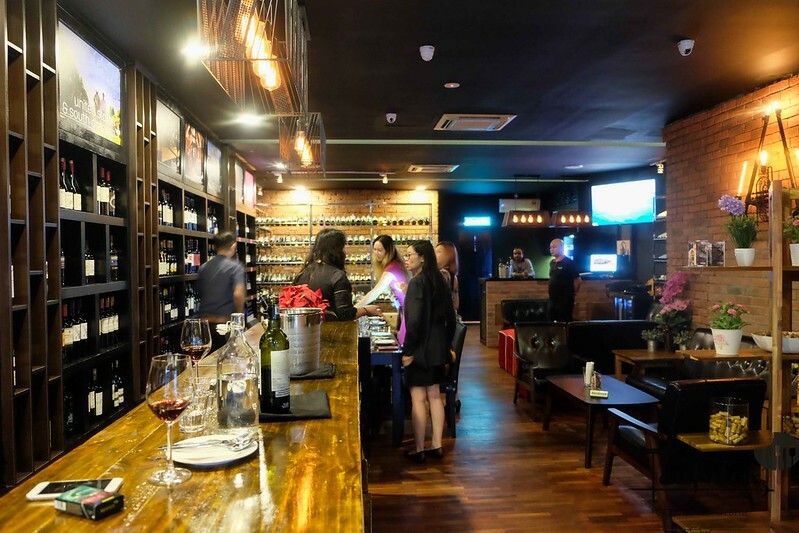 A simple wine place that offer cozy ambiance with dim lightnings at ground floor. 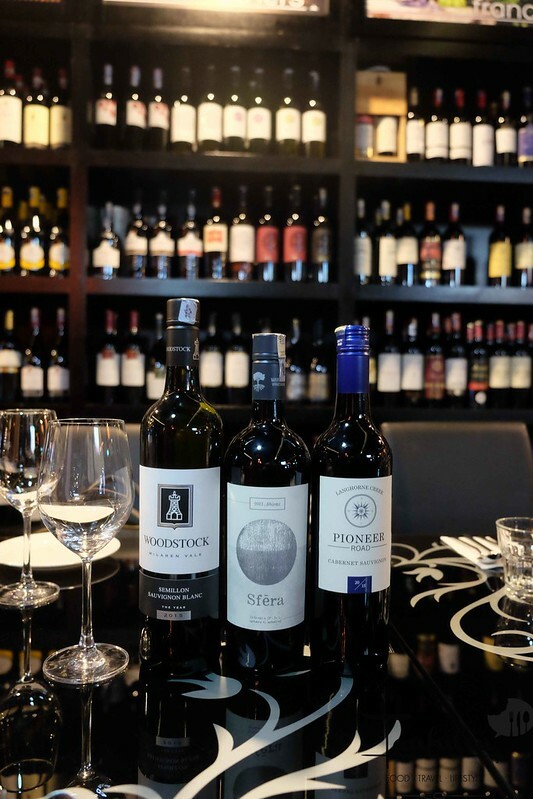 Our wine tasting for tonight along with food pairing as these three Australian wines, Woodstock Semillon Sauvignon Blanc 2015, Sfera Shiraz 2013 and Pioneer Road Cabernet Sauvignon 2015 are ONLY available exclusively at Ambrosia Wines. 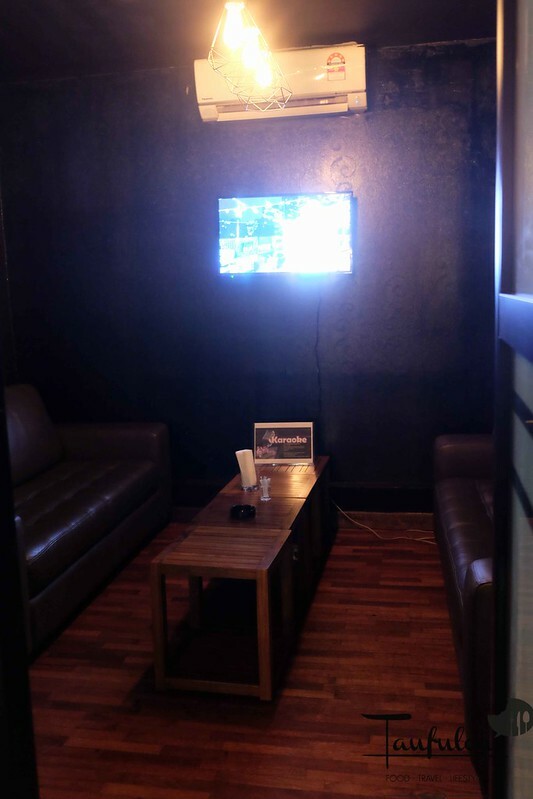 to make it more interesting, head up to level one as there are 3 private rooms that you can occupied. All are filled with Karaoke system. 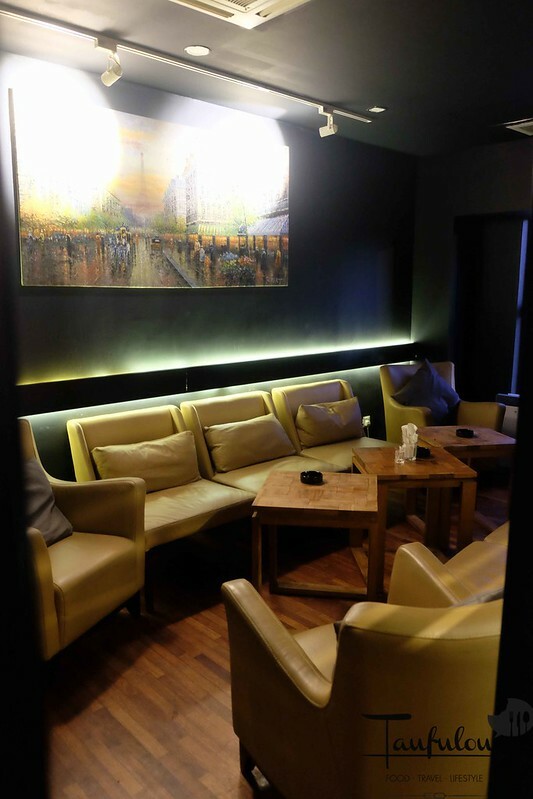 You can host your private parties or even a private space for you and your friends business occasions. 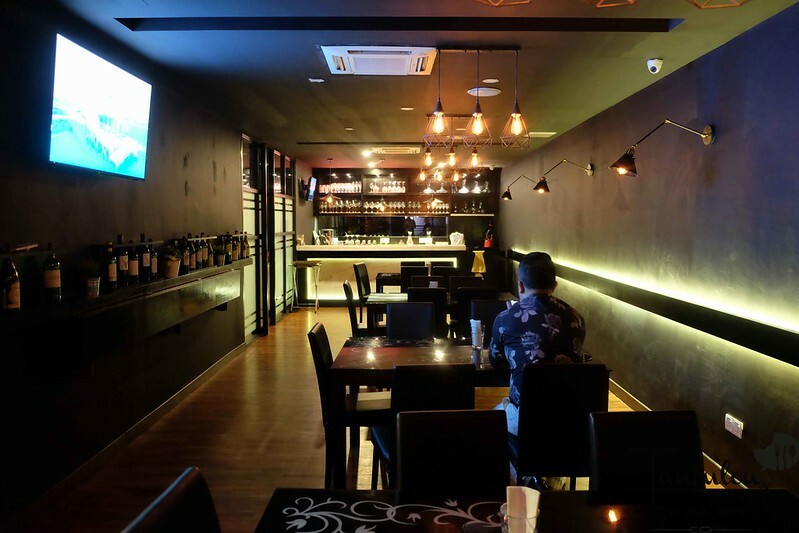 There are minimum spend of RM 300 and above to occupied the room with Karaoke System. Bigger rooms have different minimum amount. Do check with the manager there. 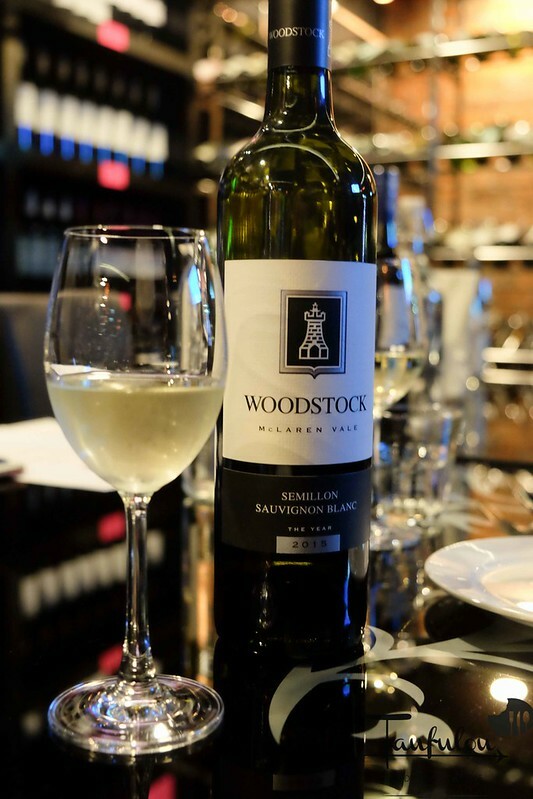 Starting off our night with Woodstock – Semillion Sauvignon Blanc from Australian Region. 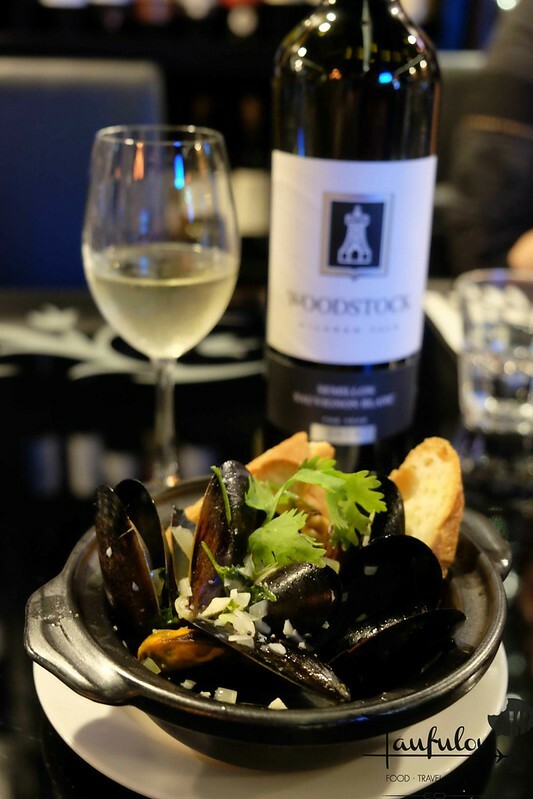 pairing it with Mejillones Borrachos (Mussels White Wine sauce served with French bread) @ RM 18. 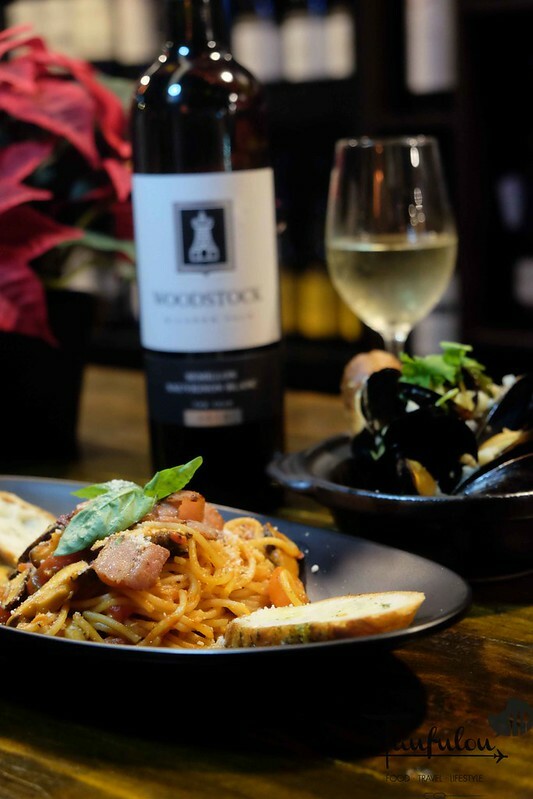 Wine with tropical taste, slightly citrus and great to go with seafood. 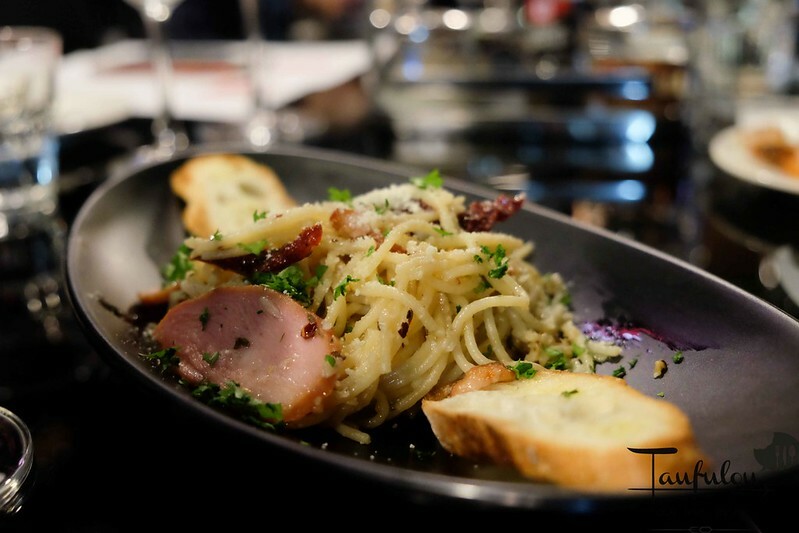 Tocino Y Champinones Espagueti @ RM 17.90. 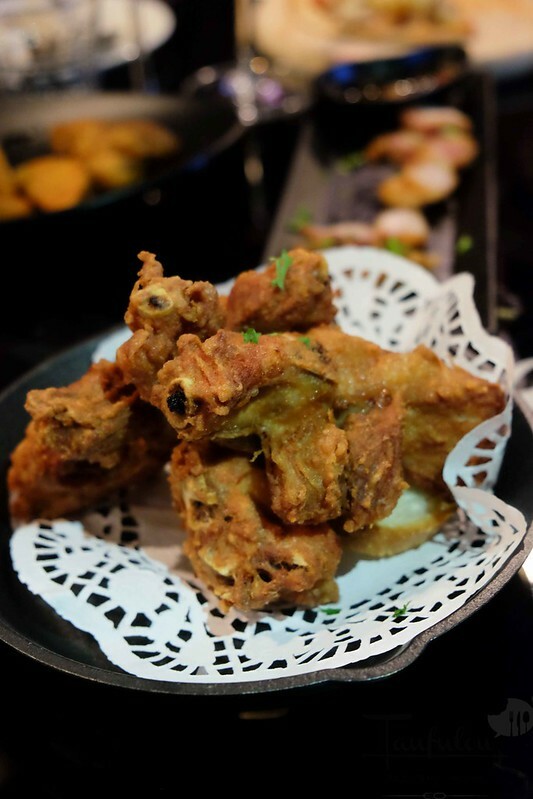 Simple and comfort food to go with red or white wine. 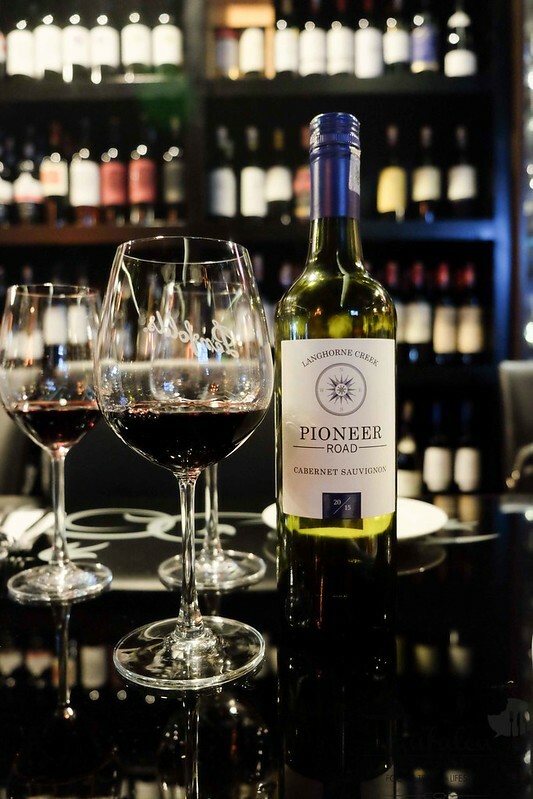 Moving to next bottle is another Australian wine of Pioneer Road Carbernet Sauvignon with character of ripe dark cherries, chocolate, and a hint of crushed leaf. 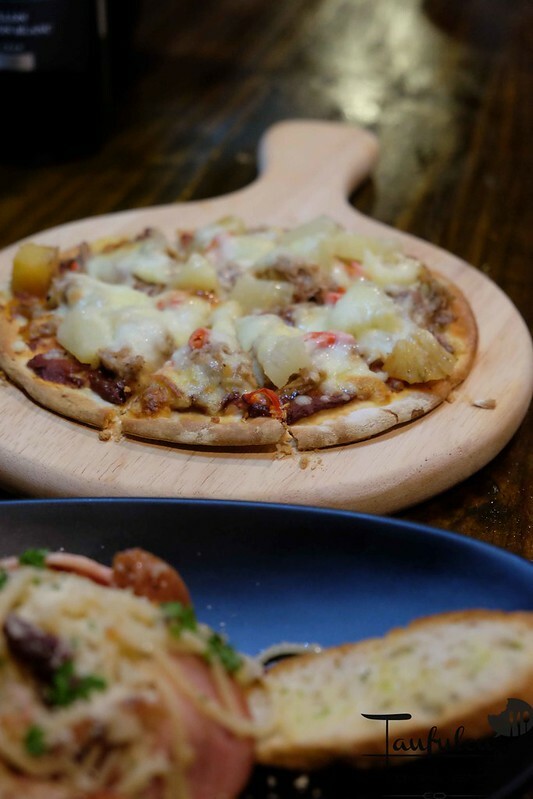 Supreme Pulled Pork Pizza (Pineapple Pork Pizza with Bacon, Jalapenos & Cilantro) @ RM 21 The pizza crust was crispy and top with generous ingredients of pineapple, pork, bacon, jalapenos and cilantro. 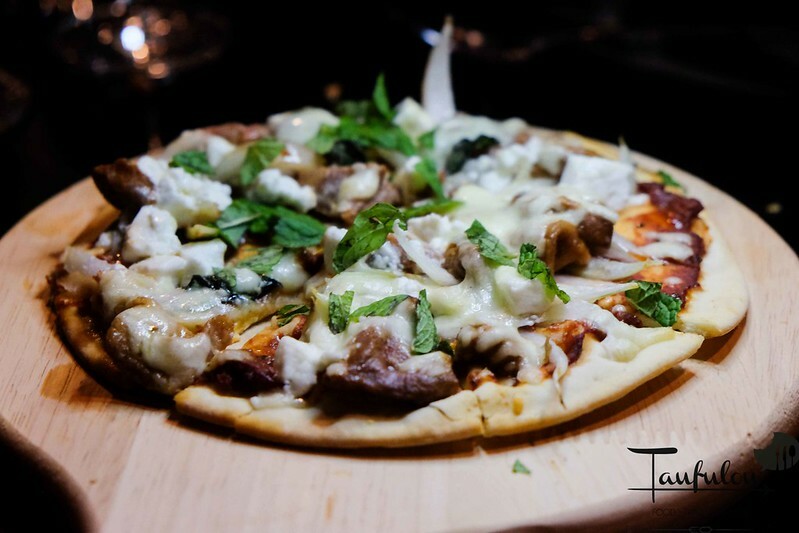 Pizza De Cordero Griega (Greek Lamb Pizza) @ RM 20 – A pizza topped with feta, onion, basil and flavourful lamb. 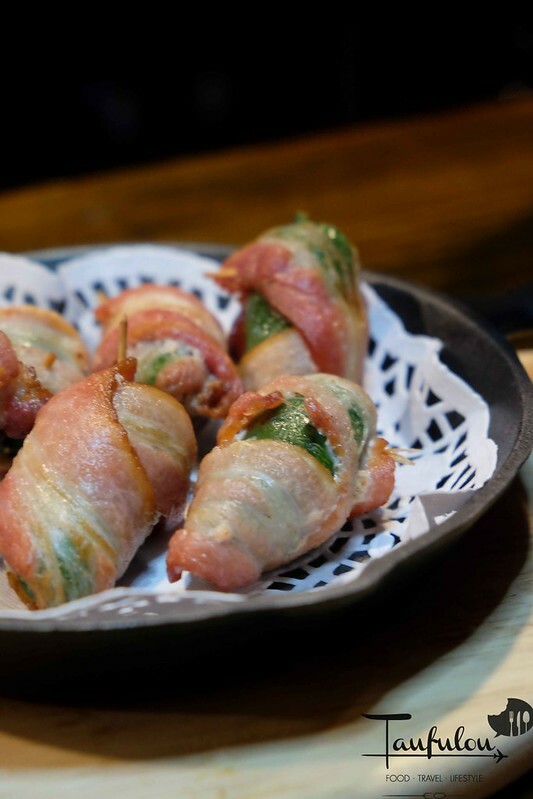 Frito De Jalapenos Envuelto Con Bacon (Jalapenos wrapped with Bacon) @ RM18 – A snacks that will paris well with strong red wine. 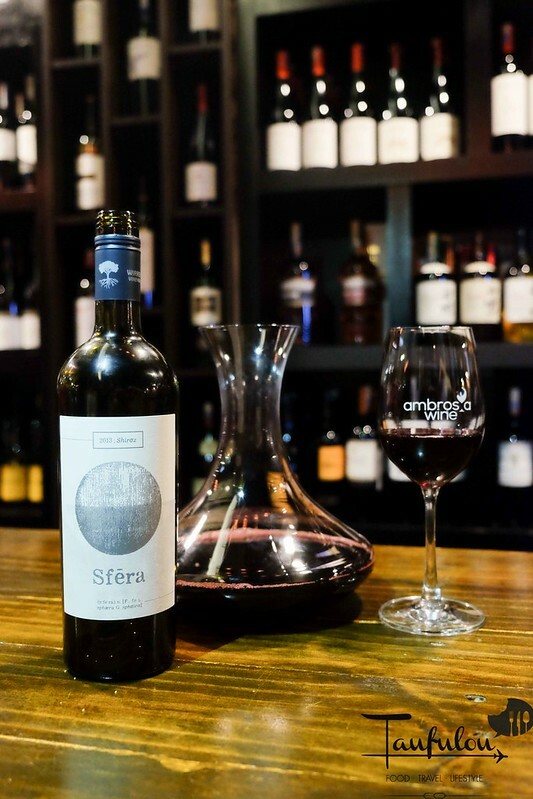 My favourite wine for the night is this Sfera Shiraz .This Tasted right from the bottle and also after breath at least 30 minutes, the taste and texture certainly makes a huge diff. 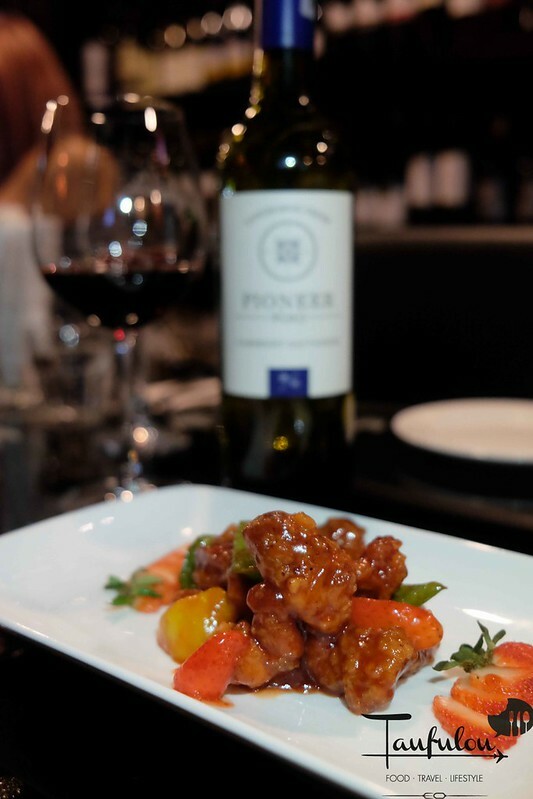 More fragrant with dark cherries with hint of mild spicy and inteste taste and slightly dry after taste. 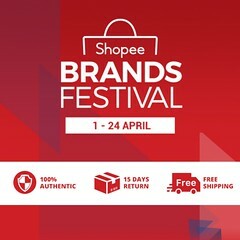 Yummsss! 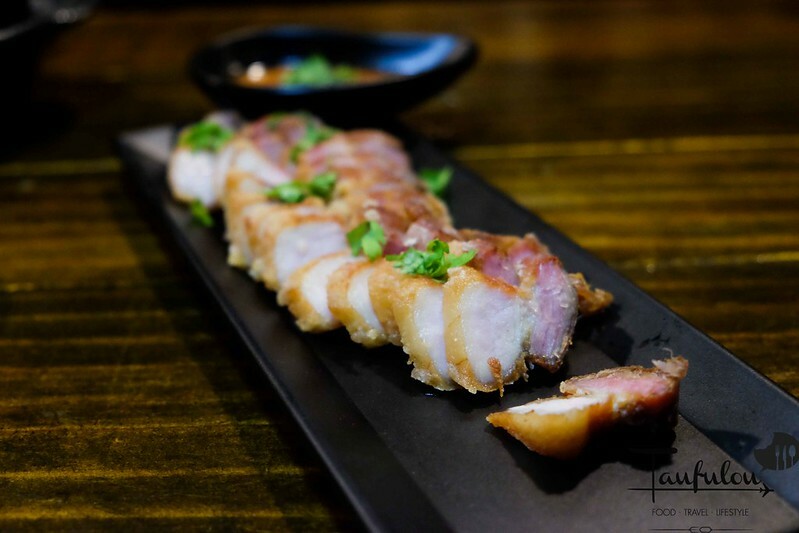 I kind of miss their deep fried pork belly.